Nothing warms our hearts more than seeing the stars of our favorite movie or TV show reuniting simply because they really, truly like each other, and not just because some Hollywood exec crunched some numbers and decided a reboot would get huge ratings. 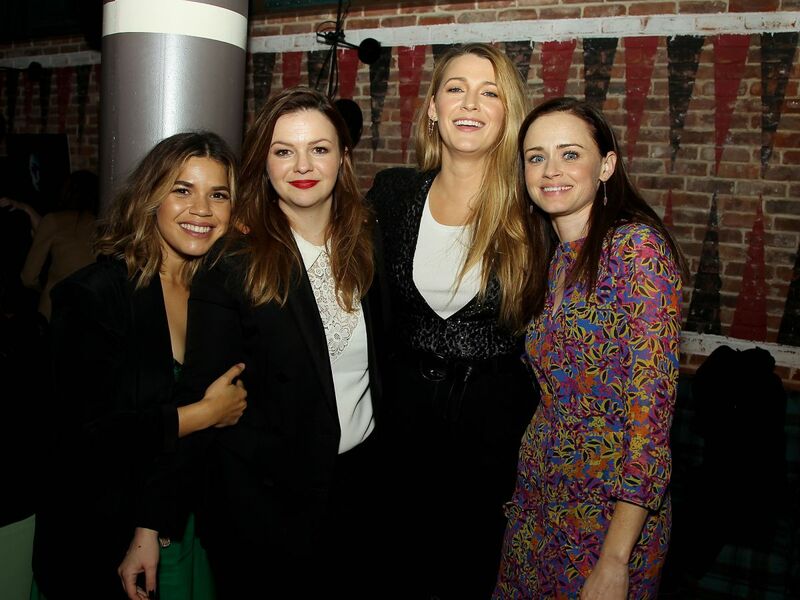 Once again, it’s the Sisterhood of the Traveling Pants crew who are indulging our nostalgia. The stars of the 2005 teen hit and its 2008 sequel — Blake Lively, Amber Tamblyn, America Ferrera, and Alexis Bledel — have frequently reunited over the years, including at the Women’s March in January. Last night saw the real-life pals assembling once again in support of Tamblyn’s directorial debut, Paint It Black. Bledel — who is currently killing it on The Handmaid’s Tale — joined Lively and Tamblyn on the red carpet for the Paint It Black premiere in New York City. Impressively, Ferrera managed to rush back from the NBC upfronts — she stars on the sitcom Superstore — just in time to catch her pals at the premiere’s after-party at the Dream Hotel Midtown. No word on the whereabouts of those damn pants. The actresses spoke to People about their secret to continuing their friendship off-screen — and, potentially, on-screen, as rumors of a third film are rampant. Not jealous at all. Nope.